Two Easy Peasy Homemade Masks For Damaged Hair! Our everyday routines demand us to be exposed to scorching heat, dust and pollution, and we invariably end up damaging our hair. We go to expensive parlours and then treat them with chemicals which are even worse than the damage that happens naturally. Or may be some of us are so busy with our lives that we have no time to take care of our hair or even go to a parlour, for that matter. Well.. the solution is right in front of you! Believe us on this. Team POPxo brings to you simple DIY hair packs that you can make at home in a jiffy!. 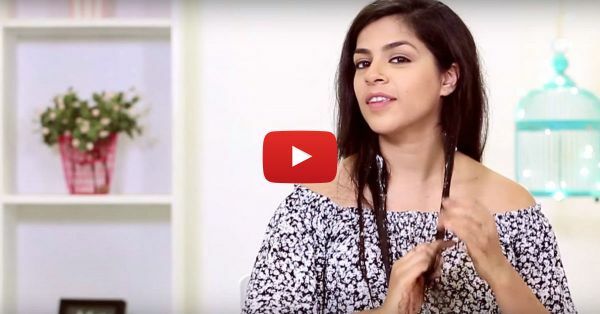 Also read: 2 Simple & Pretty Hairstyles That Are PERFECT For Frizzy Hair! You can do this over a weekend, with the things that are in your kitchen, while sipping your coffee and then, yeah, you can thank us later maybe. :P Watch the video to know how! Mix honey, coconut oil and vinegar in a bowl. Gently apply it on your hair strands. Honey helps in regaining strength and coconut oil gives shine to your hair. Leave the hair mask for 20-25 minutes and then wash it off. Also read: Mistakes You MUST Avoid For Beautiful Hair Always! Mash the banana properly till it becomes a paste. Add yogurt and honey to the banana paste and mix it well. Apply in gently on your hair strands. Leave the hair mask for 20-25 minutes and then wash it off.